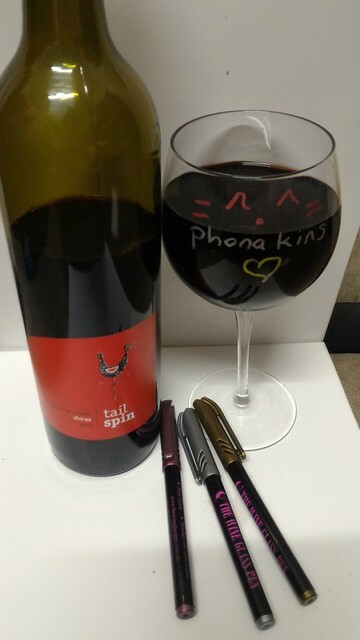 Today we’re drinking a 2012 Tailspin Shiraz, with pretty handwritten labels for the glasses, using The Wine Glass Pen :) Yeah, my handwriting is crap, but I’m sure I’ll have these designs down by summer! How handy are these? 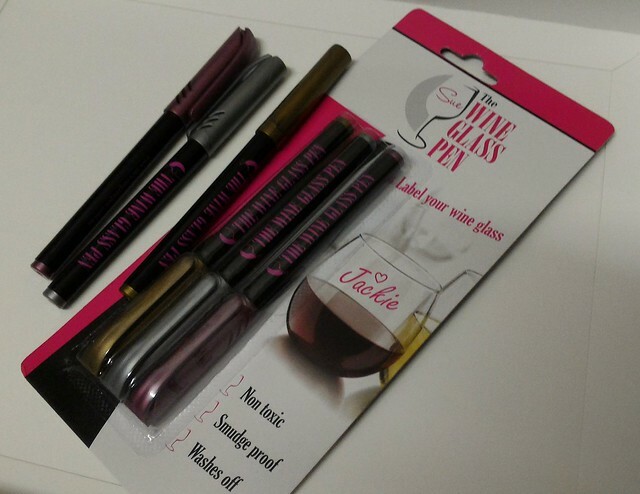 Much clearer than wine charms – you write on it, wait 60 seconds for it to dry and then get drinking. It doesn’t smudge, and washes off with water at the end of the party. So, want to win a three pack for the BBQ and party season? 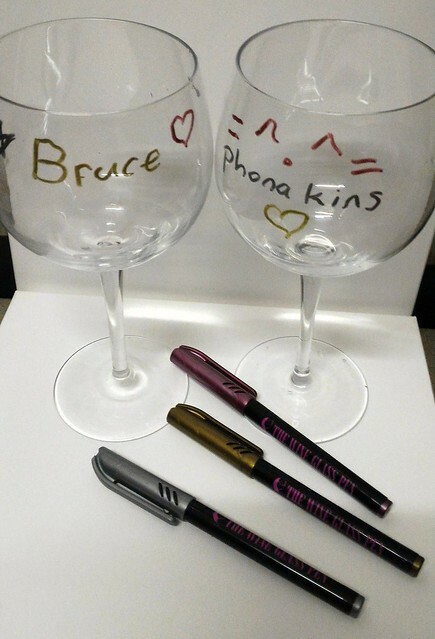 To enter, leave a comment recommending me a wine, and the one that sounds like it’d be my favourite (because you’ve made it sound delicious or like something I totally would order at the bar in a heartbeat if budget was no issue) will get a set of three wine glass pens. Closes Monday, 28th Sept, midnight Sydney time. ← Win a Pair of Glasses from Firmoo! One of our favourite wines is Mcwilliams Inheritance. It comes in a red, a white and a rose. We discovered it as it was the table wine at an event we went to and the bonus is its usually only $5-8 a bottle (depending on the bottlo). Its generaly a sweeter blend wine but not as sweet as a moscato. My favourite is the red (which is unusual as I generally prefer whites). Pink sparkling moscato by Browns Brothers. Was so relaxing sitting in the Browns Brothers vineyard with gourmet food, beautiful scenery and this sparkling moscato in my hand. Yeah I don’t really dig moscato but I’ll make.my sister try it! Last night I had a glass or two of Man of War shiraz at a party, it was lovely, comes from the Barossa Valley. My favourite though is Riccadona Asti Spumante, it’s a lovely bubbly one, very fresh tasting in hot weather. I also love Riccadona Allegra, which is a dry sparkling wine, it’s not as sweet as the Asti, but also very refreshing to drink. .. I have negative connotations with Riccadonna…is it sweet? Jacob’s Creek Sparkling Moscato Rosé. It’s fizzy and sweet, perfect for a lazy Sunday afternoon! I do like much of the Jacob’s creek range, but again, the moscato is a bit too sweet for me! Alpha Box and Dice is a quirky little winery in South Australia who make a beautiful Montepulciano called ‘Rebel Rebel’. Better yet, if it doesn’t appeal, they have created an alphabet of wines, with equally exciting names and their own unique attitude – but I adore Rebel Rebel and as they describe it, ‘it’s an outsider that makes your heart race’! Ok you win!!!! That sounds delightful!